The Latin American Forestry Sector Outlook Study (LAFSOS) was developed in response to a recommendation from countries of the region during the Twenty-first Session of the Latin American and Caribbean Forestry Commission (LACFC). This study forms part of a series of outlook studies carried out by FAO in different regions of the world in collaboration with member countries and relevant actors in the private sector, non-governmental organizations and other institutions involved in the forestry sector of each region. 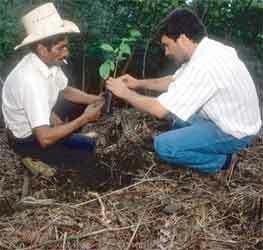 In the Latin America and Caribbean region, LAFSOS aimed to support other instruments for strategic planning, in particular National Forest Programmes. An outlook study deals with trends and future projections, analysing the driving forces both within and outside the sector in order to describe a future scenario. It then attempts to provide a coherent vision of the future on the basis of decisions made today. LAFSOS began by describing the current situation of the forestry sector of the region. It identified the driving forces that determined the trends of the sector in the upcoming years, analysing alternative future scenarios of the forestry sector and its environment. Furthermore, it visualized and characterized the probable situation of the forestry sector up to 2020, examining whether the current trends continues or if it will be necessary to undertake actions to influence development in the sector. On the basis of this analysis, priorities and strategies set out to contribute to the development of the forestry sector in the region. * making information available to countries in the region, as well as international institutions, on the outlooks, priorities and strategies for sustainable development in the forestry sector as an input into the international dialogue on forests. LAFSOS was carried out through a participatory process involving 20 countries of the region and some of the most important institutions concerned with activities relating to forest development. In the selected countries, the process was led by the National Forestry Authority through a designated focal point. Participants in the process include governmental and academic institutions, non-governmental and grassroots organizations, private enterprise and other forestry sector actors. In each country, a national document outlining elements that arise during the process and taking into account policies and strategies defined in the National Forest Programmes developed in other countries in the region was produced. The national documents were discussed and validated, with the collaboration of all process participants, through national workshops. In three subregions, processes specific to each subregion but also interconnected with both the national and regional processes were being developed. Each study in which the priorities and strategies for the sustainable development of the forestry sector in the subregion was determined. In addition, cross-sectoral subjects inherent to each subregion were identified and studied. Some of these studies were discussed and validated in subregional workshops. A regional study was developed in which the region was analysed in a global context and the priorities and strategies for sustainable development were determined. The study was developed in coordination with the subregional and national studies. 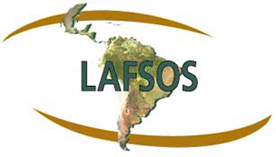 Technical support for LAFSOS was provided by a consultative group comprised of institution representatives and experts in the forestry sector of Latin America. In addition, FAO has set up an Internal Technical Committee to provide technical support to and supervision of the study's progress. The study was developed within the LACFC framework. The FAO Forestry Department in Rome was responsible for its implementation. It worked in close collaboration with the Regional Office for Latin America and the Caribbean in Santiago, Chile, the focal points in the countries and the study partners, including some of the main institutions actively contributing to the development of the region's forestry sector. Public sector:National and regional governmental organizations related to the forestry, environmental and other land use sectors. Private sector:Investors, entrepreneurs of the product and services sector. 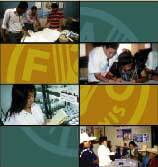 International institutions:Development, cooperation and financial agencies. Others:NGOs, universities, research and development centres, grassroots organizations, local communities.